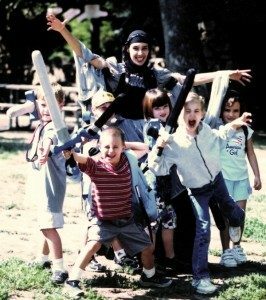 Since 1995, Renaissance Adventures have run exciting and fulfilling programs for kids age 6 – 17. In our quests and programs, we believe in a holistic, non-authoritarian approach to the development and education of the participants. See also Our Teaching Philosophy. Challenges and lessons are set within the context of a highly-motivating adventure—a quest with the kind of epic scope that rival and surpass movies and video games. However, unlike video games and other passive media, our active, outdoor quests develop the students’ physical, mental, social, emotional, and ethical development in a healthy and fun environment. 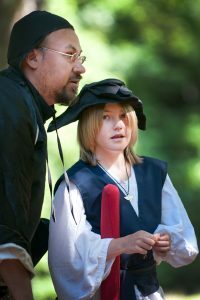 Furthermore, our skilled instructors offer individualized attention, and improvise scenarios to compliment the skills, needs, and interests of the group. Students develop and practice critical thinking and problem solving skills throughout their mythic adventure. For instance, when the plot or characters of the story take an unexpected turn, participants must puzzle through a solution that is not readily obvious. 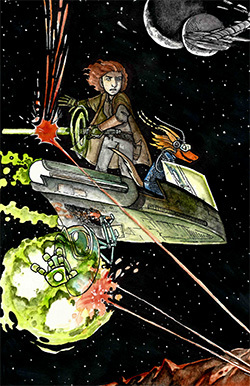 Challenges within the story are often daunting, and the group is only successful when they can work together as a team, utilizing the strengths of each individual. 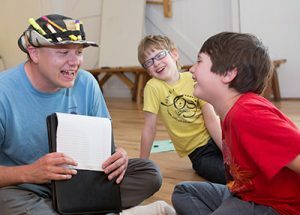 Motivations of characters within each story are complex, and when the participants interact with these personalities in a genuine way, they come to understand how to communicate in a positive way. Students are often presented with scenarios of conflict that can only be resolved when an agreement can be made, whether it be between two great nations or a household of bickering siblings. In fact, because the participants hold their swashers in hand, they always have the option of handling conflict with more conflict; when this strategy fails, it gives them the opportunity to learn from their mistakes and address conflict in a more inspiring way. Through an interactive story, with scenes and monsters and realms described by a brilliant storyteller, the stage is set for creative expression and imaginative exploration—some of their greatest strengths. 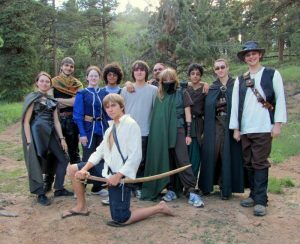 Roleplaying games offer the participant the ability to choose their actions in a safe environment; when a goal is reached and a challenge overcome by the participants’ actions, it allows the children to realize that they can overcome other situations in their own lives. Within the quest, the leaders have an opportunity to teach any number of skills that would help the kids succeed in their adventures. Knowledge of mathematics helps one group pass through a magically trapped corridor filled with a number pattern; cryptograms scribbled on a pirate’s map test the kids in their language abilities; making a real-life debris shelter teaches kids what they can do in the wilderness… the list goes on.